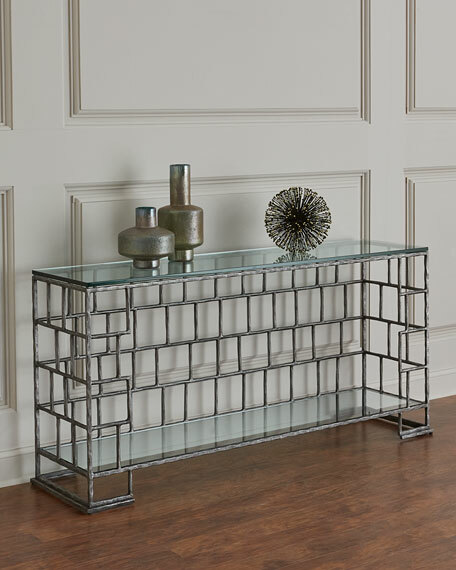 Overall, 67.25"W x 16.75"D x 31.5"T.
Hammered and textured solid steel base with open patterned design. 0.6" thick lay-on glass top. One inset tempered glass shelf. 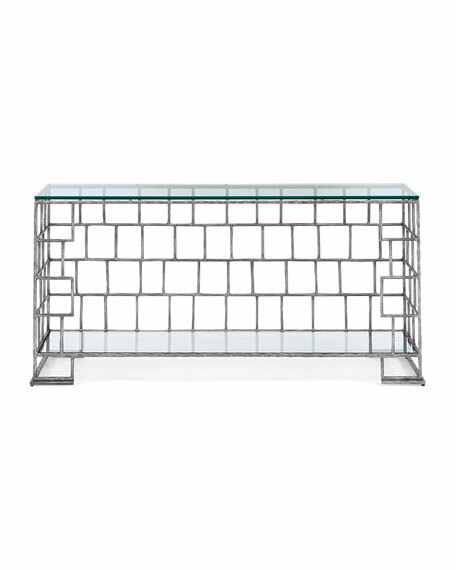 Polished edge on glass pieces. For in-store inquiries, use sku #2472787.